The Osborne Association is a non-profit agency that helps people with criminal pasts forge new lives, specializes in transformations. 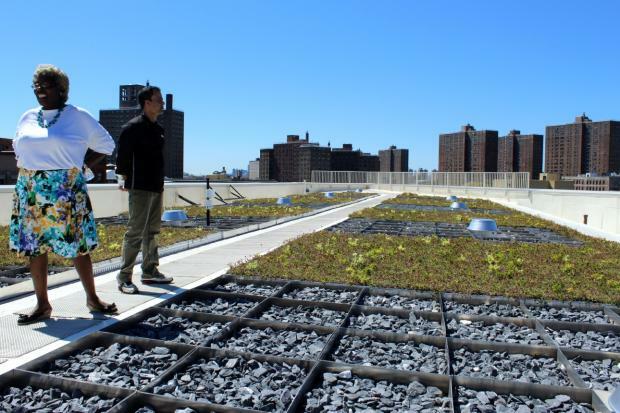 With support from the City of New York, they converted their building’s old, leaky roof into a state-of-the-art “green and blue” rooftop. Rows of vegetation and water trays help prevent sewer overflows and save energy, and hosts thousands of bees that live in a rooftop apiary. The new greenery will absorb precipitation, filter air pollutants and keep the roof cool, while the stone-filled trays will catch and slowly release rainwater. The new system fixes leaks, provides added insulation that should cut energy costs and, because it combines the lighter “blue” components with the heavier vegetation, is not too heavy. 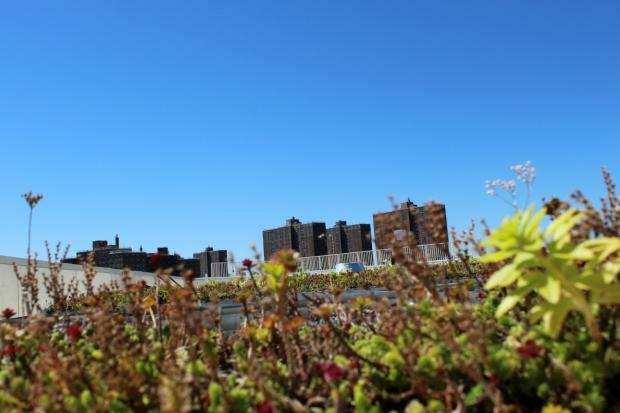 This rare combination of rooftop technologies will manage more than 100,000 gallons of rainwater per year and should cut runoff from the roof by a third. Osborne will also use the new $688,000 system to teach its clients green-job skills and to support its planned honey-making business. The city paid for $288,000 of Osborne’s roof system, while the agency covered the rest.